A photo exhibition marking the 73rd anniversary of the 1945 August Revolution (August 19) and the National Day (September 2) opened in Nguyen Hue walking street in HCMC on August 31. The event themed “Promoting the achievements of the 1945 August Revolution in missions of building and defending the country” is organized by the Ho Chi Minh city Organizing Board of Great Festival. The exhibition gives visitors review of the history and revolutionary movements of the Vietnamese people and armed forces from the establishment of the Vietnamese Communist Party in 1930 to the 1945 Revolutionary August and the launch of the Democratic Republic of Vietnam; the two resistance wars against the French colonialists and US imperialists led by President Ho Chi Minh; together with significant socio-economic-cultural accomplishments. 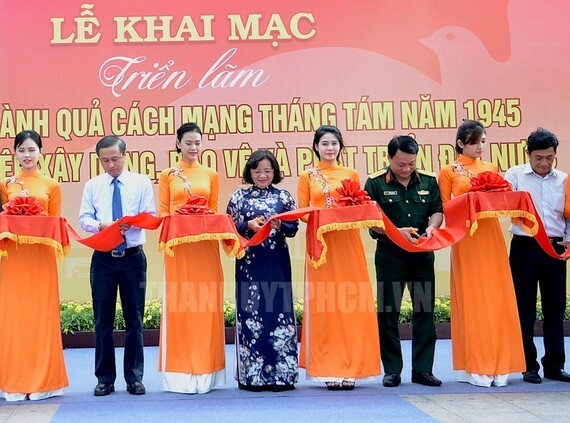 On the same day, other displays titled “Beloved Vietnam” and “The city named for Uncle Ho-Rising aspiration” were held in Dong Khoi Street and Chi Lang Park respectively. Exhibits include photos of World Heritage Sites in Vietnam recognized by UNESCO, beautiful landscapes and people, along with outstanding socio-economic-cultural achievements of HCM City. The displays will last until September 10.